My dependable Toyota Highlander just turned 90 last month – 90 thousand miles – and I confess to a bad case of sticker shock when I got the estimate from the repair shop for the 90K service. You’ve probably had a similar experience, and thought about ways to reduce the high cost of owning anything with 4 wheels. How high? Recent studies by AAA found ownership costs of about 50 to 75 cents a mile, depending on the size of your car. 1. 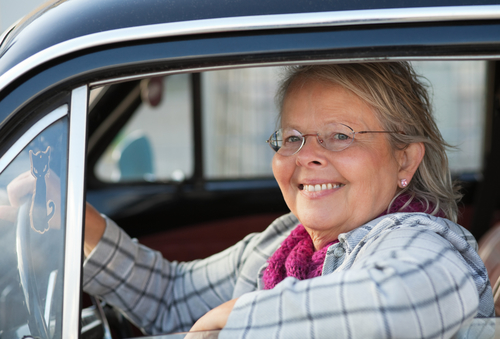 Start a senior transportation service. One out of five seniors over 65 does not own a car. Those folks need a flexible way to access medical appointments, social events and shopping. By providing a paid flexible alternative to public transit and commercial taxis, you can help seniors get where they want, stay as long as they want, and still get home safely and affordably. This allows homebound seniors to enjoy an active and independent life. Popular services to offer include door-to-door transportation for errands, medical appointments, shopping, social events and church services. Most private senior transportation services charge either a flat hourly rate that covers everything, include waiting time, or a pickup and delivery fee, plus an hourly rate. 2. Start a pet taxi service. Pet owners often need to have outside help transporting pets to and from vet and groomer appointments. Most of your customers will be busy professionals, who need to schedule weekday appointments for their pets while they are working, and homebound seniors who have mobility issues or no vehicle to transport their pets. As with a senior transportation service, you can charge a flat rate or a pickup and drop-off rate, plus an hourly rate for waiting time. If you need to wait at the vet or groomer, you can offer a lower hourly rate, as your vehicle is not being used while waiting. You’ll need small, medium and large crates to haul pets, and a reliable vehicle and a cellphone. First, find a vehicle you like at Cars.com, Autotrader.com, or my favorite, Craigslist.org. You’ll find the best deals when buying from private owners. Prices are available at KBB.com, where you can input the make, model, mileage, options, and get a price for good, better and best condition. This information will enable you to shop knowing how a seller’s asking price compares with the bluebook price. Stick to popular vehicles, like Toyota, Honda or Hyundai, that are dependable and affordable for most people. Unless you’re qualified, pay a mechanic to check the car out before you buy. Next, clean up the car and have any necessary repairs made. Then enjoy your new vehicle for as long as you want. Many flippers immediately put their car up for sale at a price slightly higher than they hope to get, and simply wait until a buyer comes along. Finally, when you find a buyer, always meet in a public place, and insist on cash. If your purchaser objects, offer to meet them at their bank, where a bank employee can give you a certified check for payment before signing over the title. 4. Run errands for seniors. This is a perfect part-time business for anyone over 55, because you’ll have a flexible schedule for the most part. As seniors grow older, they often have difficulty getting around to run routine errands, such as grocery shopping and picking up prescriptions or a parcel at the post office. The pay is good, averaging $28 an hour nationwide, and all that’s required is a reliable vehicle and a cell phone. You can sign up with either of the two major ride sharing services, Uber or Lyft, and make money getting folks where they need to go. You choose when and how many hours you work, and the companies provide the customers and the necessary liability insurance. Most drivers report averaging around $35 an hour. 6. Start a part-time courier service. Local couriers do what UPS and FEDEX can’t do – they offer same-day pickup and delivery of packages and documents for local businesses and individuals. Potential customers include architects, engineers, printers, doctors and medical labs, grocers, pharmacies, caterers, flower shops, attorneys and busy individuals who don’t have time to run errands. The national average rate for courier services using a compact vehicle like a car or minivan is currently $36 an hour. 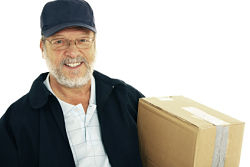 Most local couriers are home-based and enjoy flexible hours, whether part-time or full-time. Like any business, a courier service can claim the standard 55 cents per mile deduction for business use of your vehicle. That can really add up over the course of a year, and result in a substantial deduction at tax time. So the next time you’re wondering how you can afford the high cost of vehicle ownership on a tight budget, consider turning your car or truck into a money machine with these 6 options. Don’t forget to check with your state or local government and your insurance agent to determine what is required for permits and insurance.